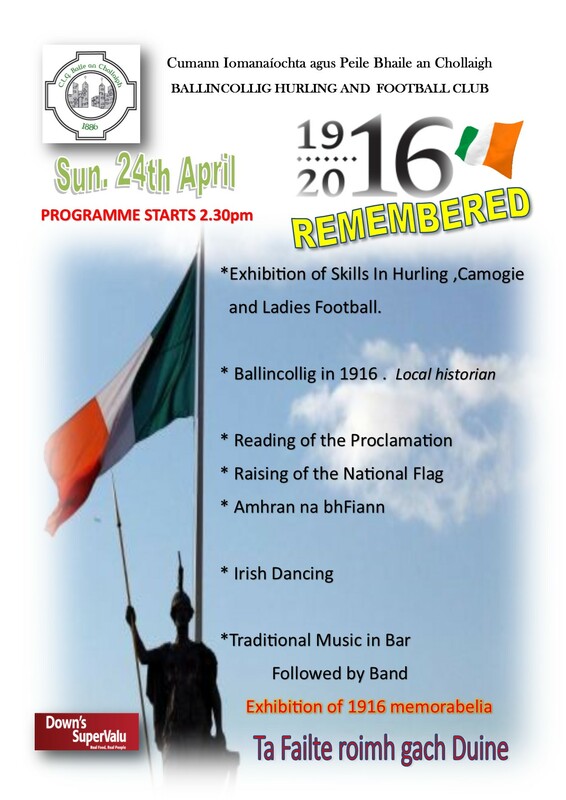 Our Club will be celebrating the Centenary Event on April 24th with exhibition, Local History exhibit about life in Ballincollig in 1916, the raising of the flag and music in the clubhouse afterwards. Everybody welcome for what will be a very memorable day. 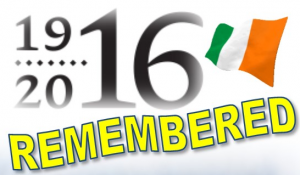 For those who have missed the Proclamation reading and the Raising of the flag at various events around the country, this may be your chance to a catch what has proven to be both a memorable and emotional occasion.